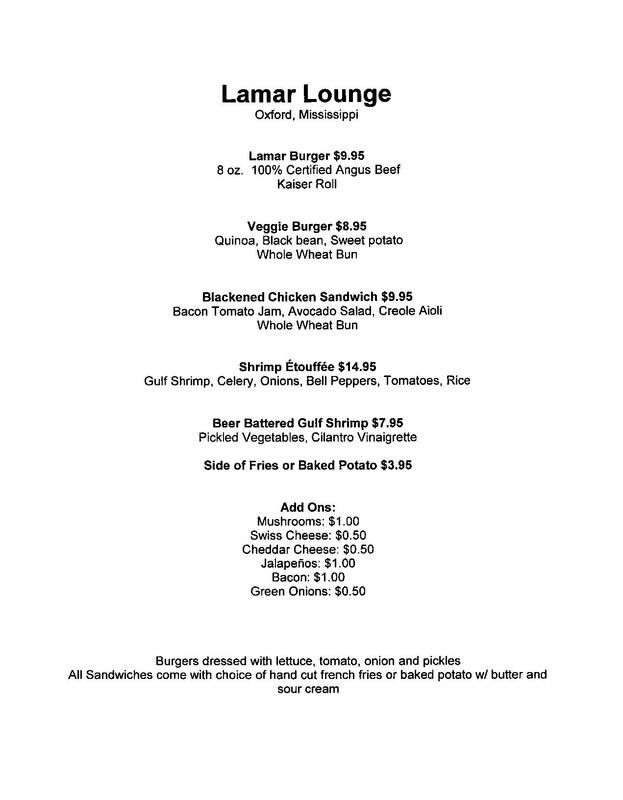 After a few weeks of burgers only at the recently opened Lamar Lounge at 1309 N. Lamar, the menu has expanded to include items such as shrimp etouffee, beer-battered gulf shrimp, and a blackened chicken sandwich. While the burger has been a favorite among many Lamar Lounge patrons, the additional offerings are sure to attract those looking for some variety. 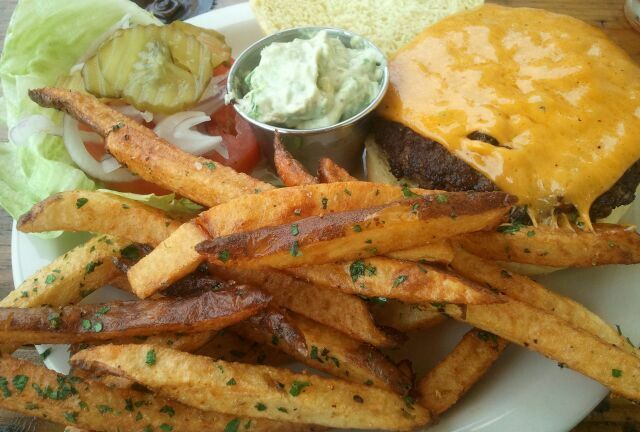 Check out the full menu above or call 513-6197 for more information. ← Will Lenny’s Break The Curse? i’ve eat there twice and both times i regretted it. had a burger the first time and it was tasty, until i realized it was still bleeding, at which point i couldn’t stomach another bite. i know, burgers are good when they’re a little pink; this was closer to completely raw. if you’re into that, you’ll LOOOVE it. second time, blackened chicken sandwich; lived up to it’s name…black and tasting burnt. i also taste tested the etouffee the same night, and it tasted strangely the same as the sandwich (burnt). i like the place otherwise though. My group had lunch at 3pm last Saturday during the Ole Miss Texas weekend. We heard about this place from the guy down the street at The Snack Bar. He said their burgers were great and he was right. But beyond the food and the great Bloddy Marys, our server, Sabrina was the best. With her customer service skills, this place is sure to be a hit in Oxford, even if it isn’t on the Square, which I liked. Way to go Sabrina. Also, it has the oldest bar in town, if not the coolest. The chicken sandwich is awful. The meat is weirdly spongy. However, our waitress was very sweet about it. weird – thought it was the best chicken sandwich that I have had in oxford. you want spongy? try proud larrys.